10 years to get a good concrete skatepark. 6 years to launch a true contest. It’s so hot in Nîmes that everything is done slowly but once things are done, they’re done right. With 3000 €, a 4 guys jam session, 3 legit judges (Sébastien Porcheron, Charly Mellec and Greg Poissonnier), an awesome concrete street park, the famous and so funny Sébastien Daurel on mike and 3 skate bands in the evening ; the 6th edition of the skate party will be a success. 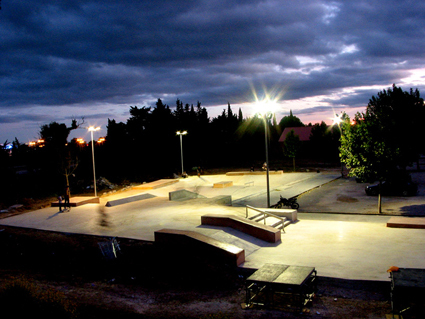 Skaters from all over France and nearby countries are expected. See you there for a great day of shredding ! DOGWAY #65 FEATURING THE CARHARTT NYC TOUR OUT NOW!! !